Another tough loss for the PC Friars against a good team and in Double OT no less. 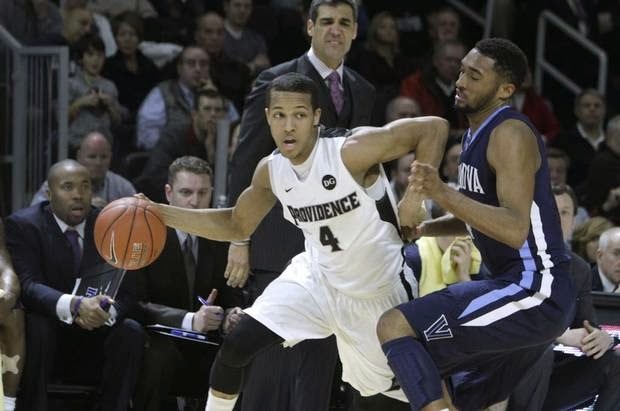 The good thing about these games is that PC knows they can play with anyone (UMASS, Creighton, Nova, etc. ), the bad thing is that they keep coming out on the short end of these outcomes. Unfortunately at the end of the second OT, Cotton tied the game up with a clutch straight on three with under 30 seconds to go, NOVA came down and got an And 1 to go up three, and on a perfectly drawn up full court play, Henton missed a wide open 3 to send it to triple OT. It’s hard to make that many game saving plays to extend a game in a row. But once again, the Friars came up short in a game that may have helped cement their tourney ticket. The one silver lining in all of this is that they could easily make a Big East tournament run in this, having played close game with every team ahead of them in the standings. And the best thing I saw was that Joe Lunardi had them as “The Last 4 In” during the last UConn game. I’ll take it!! Next Up, Today at 6 PM @ Butler. This is a game they can not afford to lose.